If you’d like to share a post about what you learned about compassion (The First Step), what you’re seeing in your world (The Second Step), self-compassion (The Third Step), empathy (The Fourth Step), mindfulness (The Fifth Step), action (The Sixth Step), how little we know (The Seventh Step), or how to speak to one another (The Eighth Step) use the link list below. Or join the discussion in the comments or on Facebook. Combining the humility of the Seventh Step (how little we know) and the charitable carefulness of the Eighth Step (how to speak to one another), what I got to this week was silence. I’m not entirely sure that’s where a compassionate person is supposed to be, so I want to explore that a bit. My mother used to say “If you can’t say anything nice, don’t say anything at all.” I’ve pretty much rejected that aphorism as an adult as being too silencing, especially for women. But that’s not really how my week played out. I think I was following, more, advice that I received from both of my parents, “Pick your battles.” That’s a much more empowering concept that allows me to choose to be silent today, conserving my resources for another day. My childhood did not give me much encouragement to express my emotions freely. Somehow, as an adult, I’ve picked up the notion that it’s vaguely unhealthy to not express my feelings, to bottle up my emotions. I’m not sure that I’ve understood that concept properly, though. Letting every emotion spew out without a thought to how it might impact the people around me seems selfish. 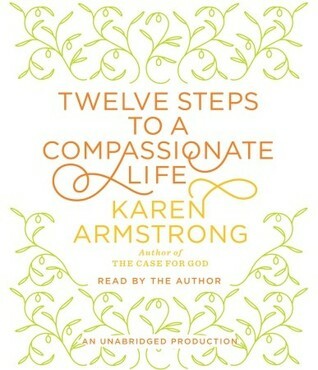 This week, the tools of self-compassion from the Third Step were helpful. I wrote Morning Pages. I worked with my emotions using the Head Office exercise from A Blueprint for Your Castle in the Clouds by Barbara Sophia Tammes. My new understanding is that it’s unhealthy to not be in touch with my emotions, but I want to make a reasoned and compassionate choice about how much of them I share with others. And, before I make any statement at all, I want to check how the other person is serving as a mirror to me. The way that worked out, this week, was that I wanted to express some concerns that another person was being arrogant and controlling. But, I couldn’t figure out a way to do it that wasn’t equally arrogant and controlling. Until I’ve worked out those mirroring issues, I still have inner work to do. And, perhaps, some outer work. Another saying I’ve encountered recently is “Connection before correction.” The person who struck me as arrogant and controlling wasn’t someone that I know well or communicate with often except by email. I suspect that if I’m going to correct someone else’s arrogance, that should be an in-person conversation involving gentle questions, not an email using hard statements. If I want to correct someone else, I need to get closer to them. That’s the opposite of my instinct, which is to distance myself from people who I find difficult. Of course, that brings me back to “Pick my battles.” As an introvert, there may be very few people who I can be so close to that I have heart-filled conversation. This person may not be one of them. How do you choose when to be silent and when to speak out? I speak out much too often, I think. In fact, when you say “arrogant and controlling” it kind of reminds me of myself yesterday during a discussion with my boyfriend. We disagreed on whether Trump would be bad for foreign relations, and I totally told him that his news sources weren’t believable if the source had no chance of winning a Pulitzer. Lol. I still don’t trust his news sources, but I should hide my strong opinions and emotions a little. Is that the kind of thing you had in mind? Yes. I hope we can figure out a way to say that it’s important where and how we get our news without sounding judgmental and elitist. Mostly because I’m afraid that people don’t hear me when I sound judgmental and elitist, so they discount my opinion even when it has a strong basis. I’m working on this myself. Up until a few months ago, I had a boss who was impetuous and controlling and bullying. Finally, after four years of this, I learned how to respond to her tantrums by saying, “Can I get back to you about this later?” It worked well for me this last year and things got much better. That’s encouraging. What a great example of something that works!